Parallax Studio is made up of a group of creatives that have worked on many varied projects, some video game related, some not. 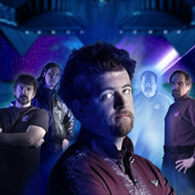 David Ferrell, our lead programmer, worked for the now defunct Taldren for three years and programmed several Star Trek Starfleet Command Games (Starfleet Command II and III and Orion Pirates). 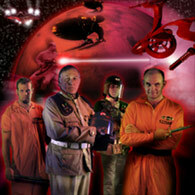 Trace Beaulieu acted in and helped develop the television series Mystery Science Theater 3000. Richard Corben is a legendary comic artist and his characters and illustrative work have appeared in the 80’s movie Heavy Metal, dozens of issues of the magazine of the same name, and the Meatloaf “Bat out of Hell” album cover. It has been said by Blizzard Producers that his artwork inspired the prolific Diablo series of games. 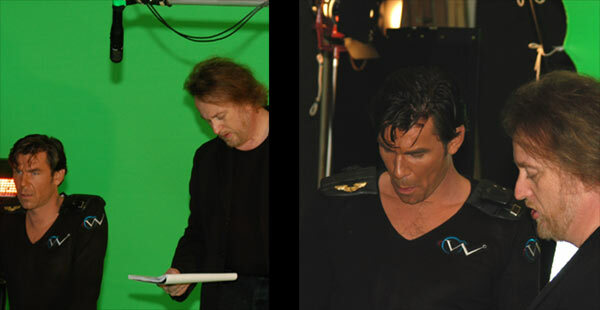 J. Allen Williams, owner and producer/animator has produced many music videos and television commercials, including video/animation work for George Lucas. And music has been supplied by Canada’s own legendary rock band, Rush. Each of us has our areas of strength, and we’ve brought it all together to create a storytelling device called Darkstar. We hope you’ll like it. Q: Which kind of videogame do you like more? What are your favorite graphic adventure? The CYAN offerings are the leaders in the industry as far as first person adventure goes. Myst has always been the abhorrent phenomena that has skewed all of the market research when one tries to chart the viability of these kinds of “games”. The creepy immersive nature of these titles fascinated me initially, and the detail and realistic application of the “worlds” in their beautifully animated state kept me engrossed. They created their own D’ni languages, for cryin’ out loud. These games evolved from slide shows to a virtual online world between the 90’s and the new millennium, and their creative repackaging and use of sequel was brilliant. The commando style of making gaming products Cyan embodied always impressed me as very creative, and that makes them cool to me if for no other reason. I’ve heard the company is in trouble right now, and my hopes are with them, they are a group of daring innovators, and I know they’ll persevere. I’ve always loved the cinematics of the Blizzard games, although the lack of connection between these gorgeous animations and the actual game always confused me. We want DS to have absolutely no wall between the interactive part of the experience and the cinematics. I liked the look of Darkwatch very much. High Moon was really creative in the way they used the internet to build pre-release hype, and they were another small company like us. I was alarmed, however, at the 2004 E3 when I first heard about it due to the similarity in name to our title. We all have kids that have their noses epoxied to video screens and whenever we can peek over their shoulders between their various death throes, we do. I must say that the games with ridiculous amounts of gore are kind of funny to me, and I don’t think that’s the effect they’re after. When you have a “blood level” button on the menu, I’ve got to laugh. If it’s reality they’re after, why not have an “I have to pee” level, so that your character has to stop and relieve themselves every so often. Glibness aside, Darkstar has its gorey, scary stuff (mostly created by Rich Corben, who has signed his art simply “Gore” since the 70’s), but it’s not just there for shock value alone. Q: What do you think about the actual trade of AG and interactive movies? Do you believe in the possibility of a rebirth of these genres, or they are destined to remain neglected? Interactive media as a storytelling device will always be viable if the story and production is good, that’s all there is to it... and gamers have waited for a long time for a good one. There have been many shoddy offerings in the genre, and it obviously hurts the group as a whole. We will need to show in our marketing efforts the level of quality that Darkstar maintains for it to be well received. By the time it hits the streets, nearly six years of meticulous production will have been poured into the project. First person shooter fans as a rule don’t usually get into these kinds of products, and it really isn’t designed for them. As Rand Miller of Cyan once said, this is the kind of game for people who don’t call themselves gamers. To answer your question specifically, it’s not about the genre per se, it’s about the project itself. If the content is lacking, it will fail. If it is engaging, word will spread. Darkstar has the advantage of niche market (Rush music fans, MST3K fans, and SciFi in general), and we plan to deliver in aces to each of those groups of die hard fans. Q: When did you begin to develop this game, and what are the reasons of your choice? Early concepts for the story of Darkstar began in 1993, long before technology existed to make this the interactive project this has evolved into, resulting in a crude demo that was shelved for years. In late 1999 I dusted it off and began talking to my partners about producing a product that we would want to buy. Once the core concept, story and characters congealed, I began to pull in the team members I wanted to work with, beginning with Trace and Richard. Darkstar was that consummate “dream project” that was going to be the elusive job that was never a job. Our only solid rule was, as soon as this isn’t fun…we bail out. 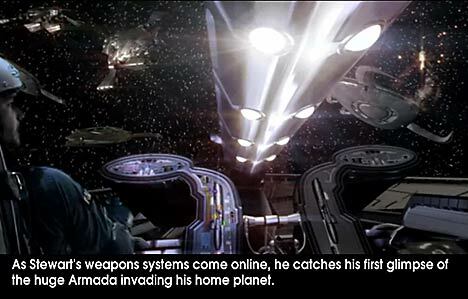 In the early concept stages it began as a short film, and evolved into the interactive realm because of the amazing alternate story possibilities offered by newly evolving technologies. 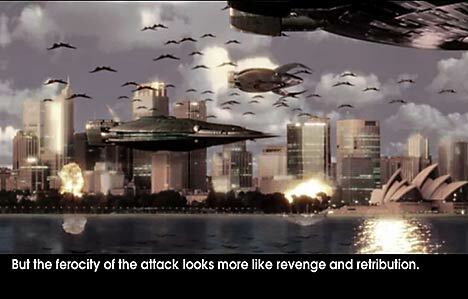 In 2000, production began, and with an approved script so did casting, and preproduction art.. just like a movie. We became a Screen Actors Guild signatory agency, booked soundstages in Hollywood, and began shooting. With Parallax based out of Missouri, it was not always most convenient to do production in LA, but it was often necessary. Darkstar has always leaned toward the movie side of the “interactive movie” line in the sand, until recently. Now the “geeks” of our team have taken over with the mountain of animated sequences, models, UI control panels and tools in their arsenal, and are building a world of their very own for YOU to explore. Q: DarkStar has taken a long time to be completed. Can you speak about the main problems you encountered during develpment? Have you ever thought of giving up on the project? It’s a huge job and we’re very small. But giving up was never an option. Like I said earlier, our rule was, as long as it’s fun... and it’s remained so from day one. That said, it’s been the largest single project ever to be undertaken by any of us. Four of us rarely sleep. 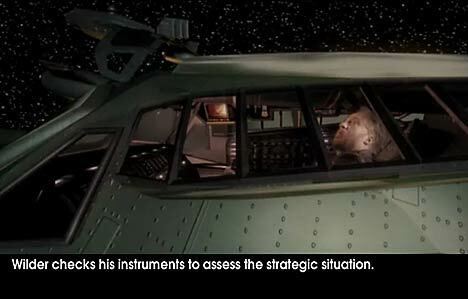 Recently I watched the “making of” portion of the “Sky Captain and the World of Tomorrow” DVD. The movie was ok, but the backstory of how they got it made should win an Oscar. It took two guys six years (with no money) to make a six-minute demo just to get Paramount to begin production on the movie. I felt their pain. The difference here is that we sought no assistance to develop this thing, we just did it. When a publisher joins as a partner, it will be pretty much turn-key. Using Rand Miller’s company as an example again, he was always careful not to take money up front from a pubisher so he’d not be beholding to them... and even so, he still felt the shadow hanging over him at the end of his many productions. I took his advice and did the same thing. Something not widely known is that Darkstar might have been a Cyan project, but they elected to put all of their eggs in the Myst sequels basket and declined. Thus was born Parallax Studio, and we did it on our own. Since we had to reinvent the wheel, we’ve had the audacity to question if it had to be indeed round. Q: Can you explain the main features and innovations of the game? This question implies that we are introducing new “technology”, which really, we’re not. Likening it to a film, we’re still using cameras, actors and a script. It’s the story and the way it’s stitched together that makes this unique. We’re using a lot of Quicktime and DVD technologies that are used in just about anything you buy. It’s more a question of what Darkstar does NOT have that other games do. It has no “game engine”, or sensibilities of that nature. It’s all based on the pre-rendered imagery that you see, not how it’s uploaded onto your screen. The cinematics are Dolby 5:1 surround digital audio, and with the right speakers will shake the room. Though not THX rated (yet), we utilized THX studios and equipment throughout production. We’ve pushed authoring softwares to their very limit and Darkstar has actually inspired upgrades for some of them (VRWorx to name one). The trend of games today produces some great, breath-taking stuff... but sometimes they get caught up in just blowing s**t up, and to some that’s often boring. The story becomes second to the tech, and the big picture gets skewed somewhat. And a lot of “new” games are sequels and repurposing of the same old worn out game engines to keep inhouse production costs down. I heard a reviewer who leaned toward the “twitcher” games say of Riven “...if I want to see a slide show I’ll go to my Grandma’s house”. Well, if Grandma is into Twilight Zone, Star Wars, Alien and Heavy Metal Music... welcome, sit down, have some tea and a biscuit and enjoy Darkstar. My Grandma was at Woodstock and was a “Who” groupie, so bite me. Q: The cast is composed by true actors, exactly like a movie. Can you speak about the difficulties that came along with this choice? 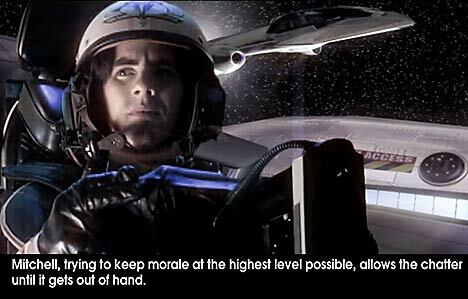 We used the William Morris Agency out of LA to help cast Darkstar, and they were a big help. We negotiated with dozens of actors and voice talents, and ended up with the perfect cast (about 40 on-screen). Honest to God, it would have been easier to animate the actors as in Final Fantasy! 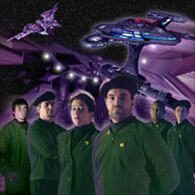 Amazingly, it was the most talented of the group that had the biggest problem working on green screen. “What is my friggin motivation dammit!” Detailed storyboards saved our collective butts many times. I can’t answer this question without mentioning that the most difficult part of ALL of Darkstar is the loss of two of our close friends and actors in Darkstar. Bill Brown and Libby Chappell both died in the last year after shooting their sequences in DS. Some of the actors we hired became friends after the fact, but both of these were close to the Parallax group for fifteen years or more before the project. 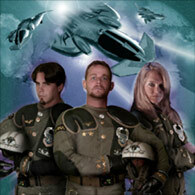 Bill plays a civilian mercenary pilot in Darkstar’s back story movie, and his character dies in a fiery crash. In real life, Bill was the lead guitarist of A&M Records recording artists The Ozark Mountain Daredevils, and died in a housefire in June of 2004. I met Bill in high school. Libby was a close friend and wife of Ruell Chappell (one of our sound recordists/editors, and also pianist for the Daredevils); she died of a brain anurism in June of 2005. 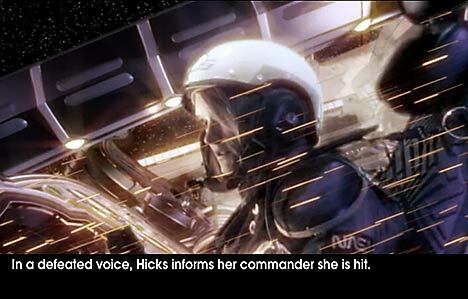 Her character also dies in Darkstar as she rides her damaged fighter into the hull of an enemy ship, destroying it. Her ten year old son still spends the night at my house about once a month with his best buddy, my son Chance. They are missed. Q: Which criterias have you used to select actors? Not trying to be glib, but first and foremost, they had to be able to act. They also needed a lot of imagination, because often they’d be playing off of an actor that was shot a year previous in a different state. Also they’d ALWAYS be in an animated room that they couldn’t see, touching buttons that weren’t there, and shooting a fake gun at a piece of gaffer’s tape stuck to a C-stand. Clive Robertson was hired for a plethora of reasons, he was the perfect choice. Other’s in the running were Emelio Estevez, Chris Lambert (the Highlander), and others. 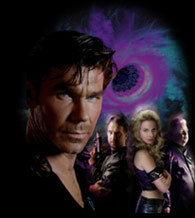 His experience as the lead character in a Canadian scifi TV series Starhunter was a major factor for me. I thought he’d take to the green screen like a pig to mud, but he was the biggest crybaby of all! “I feel like a f**ing lemming”, he’d cry out, “...I have no f-ing idea where I am!”. Liam Neeson was heard to lament he might never make a film again after Star Wars Episode I for the same reasons. It seems classically trained actors like to play off of things like tables, chairs, other actors... go figure. Clive was a total pro. We went overtime on every day of shooting, and had to keep him an extra day to tie up loose ends. His contract was iron clad, and he could have really put his foot down many times and never did. We had a stretch limo picking him up at the Bed & Breakfast we put him up in, and he asked “Man, don’t you have a car? Just come get me!” Then he got bored at the B&B and asked if he could just come stay at my house. He’s become a close, personal friend, and is truly the heart of Darkstar. The Mystery Science Theater folks were the exception to the rule on casting... due to my connection with the troupe through Trace, their presence in DS was “grandfathered” in, so I put them where they fit. Beez McKeever actually stole the role of pilot Paige Palmer from another actress with her quirky interpretation of the character and her wardrobe. The sleepy-eyed creator of MST, Joel Hodgson insisted on a “Fu Manchu” mustache to play one of the story’s antagonists. Frank Conniff played Burk (Ship’s murdered navigator) almost identically to his character Frank on MST, and he got to play a robot, in DS as well... something they never let him do on MST. I think they were afraid he’d hurt someone with a puppet in his hands. Simon, his robot character, was completely CG, so nobody got hurt (that I know of). Frank and I were in an airport in St. Louis watching TV between flights at the “Cheers” restaurant. The Beverly Hillbilly’s Movie was playing, and I asked Frank what Jim Varney died of. He quipped, “...embarrassment?” Frank didn’t like that movie. 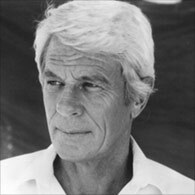 Peter Graves was an honor and a pleasure to work with on DS. He spent plenty of time familiarizing himself with the big picture of our story, but the direction of a Rod Serling tempered delivery seemed to steer him immediately to the “ironic” sensibility my narrator needed to posess. He transformed our narrator position quickly into a character of its own, giving the story a presence it didn’t have before his readings. You’ve gotta respect an actor with a famous brother (James Arness of Gunsmoke) who changes his name so he’s not riding on coat tails. Of all my calls on this thing, Peter was one of the best. Q: You committed the game soundtrack to a big Canadian rock band: Rush. Can you explain the reasons of this choice? Rich worked on a movie back in the 80’s called Heavy Metal, and it had a soundtrack containing Black Sabbath, Journey, Sammy Hagar, and so on. The soundtrack album (black vinyl back then) was every bit as successful as the movie. Most of the animation in HM was pretty average, even for the day... but that music track gave each frame life and relevance beyond the painted cels that stands up even today as a cult classic. 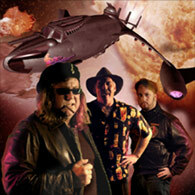 Originally we planned a multi-artist soundtrack like HM boasted, and Rush was at the top of the list. We began royalty negotiations with them, only because they were the only “foreign” (Canadian) label we’d need to acquire synch rights from, and wanted to get that part out of the way. Anthem’s Pegi Cecconi pitched the idea to Geddy, Alex and Neil, and they responded so quickly and positively that the idea to keep this exclusively Rush began to look really good to us. First off, their music is cinematic even without our pretty little pictures. Second, the consistency of style would help keep the mood we were trying to nail down metronomic throughout the story, and would help keep the soundtrack feeling more like a score than a journey down AOR radio-memory lane. Third, the royalty acquisition process would be a lot simpler, and the Rush boys and Pegi at Anthem had no egos at all about this like some music biz folks often have. It just fell into place in pre production, and the songs absolutely brought the post production to life. And Rush is arguably the best rock band ever, enduring after 30 years with no end in sight. DS and Rush are a perfect fit, but I’ll let you be the judge when you see it. Q: Did you choose songs from the Rush discography, or they are creating an original soundtrack for the game? We pulled 23 songs from the Rush catalogue from their first self-titled album to their last, Vapor Trails (...that is, at the time we were editing. 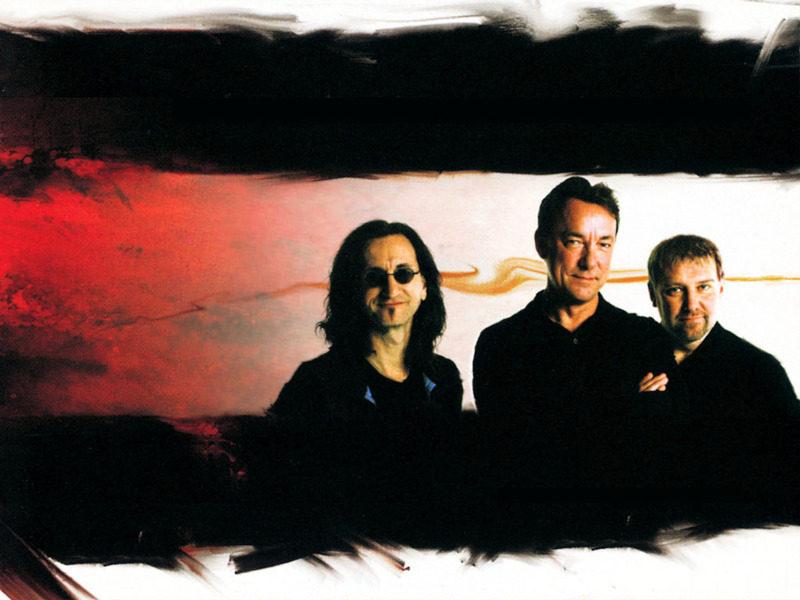 Rush has since released another studio album of cover songs titled Feedback, and is soon to release another live album “R30: Live in Frankfurt”). It’s like a greatest hits double CD. You can find the list of songs on our website. I’ve thought about talking to the guys about doing music for future projects, but who knows if they’ll be hip to that. There has been some communication about Rush utilizing scenes from Darkstar as cinematics during their live performances, but Pegi at Anthem wants to get through this part first. Tell your readers to buy thousands of copies of DS, then I’ll get a lunch with Geddy at some hotdog joint in Toronto and see if I get a smile or kick in the shins. Honestly, I don’t think these guys do stuff like that, they’re as non-commercial as it gets, and I’m just glad they thought our project was cool enough to back us up. Q: What kind of special effects can we expect to see in the game? Looking at the trailers, it seems to be a Hollywood production! Thanks for saying so. If you liked our old, outdated 2003 promo trailer, you’ll love the real thing. 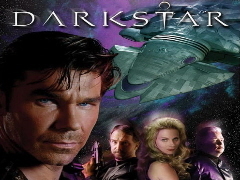 There will be about three hours of cinema in Darkstar contained in the “back-story” and the actual game. Without blatantly comparing it to existing scifi, the quality of animation and special effects should dazzle the most sceptical gamer. Every single shot is an SFX setup, and was painstakingly composited frame by frame over the last five years. People are often put off by the amount of time it’s taken us to produce what we have, but don’t realize that movies like The Matrix and even the new Willy Wonka movie have 2-3 year gestation periods. They just keep the first two years really, really quiet, which is what I’ve tried to do, but word keeps leaking out. 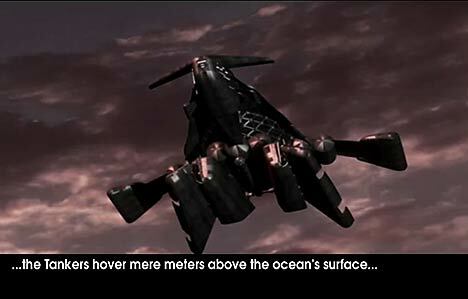 In Matrix Revolutions when compositing the highway chase, the producers were merging animations and film sequences created two years previous. The set of the Chocolate Factory in Tim Burton’s film took two years by itself to build. And Darkstar has but one bottleneck. Me. I’m involved in every stage of every part of production, animation and post production editing/compositing, so if you want to make someone walk the plank, look no further, matey! My own partners have threatened to lynch me over cutting huge scenes I was no longer happy with, re-shooting and animating new ones, and adding level after level of “stuff”. Once again, thank goodness no publisher has given us milestone money... they’d be sleeping in my basement by now. Q: Let's talk about the game. 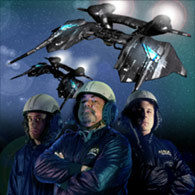 Can you introduce the DarkStar world to our readers? What can you tell us about interaction between the player and the game? What kind of puzzles must be solved by the player to finish the game? 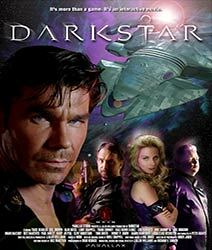 Darkstar starts out like a movie, with opening credits and an intro of sorts. 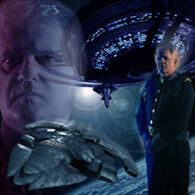 Your POV (Clive’s character, Captain John O’Neil) rises out of a cryogenic sleep chamber after being told by the ship’s computer voice that you’ve lost all memory... you’ve been in way too long... over 300 years. Then the game changes modes seamlessly from movie to interactive exploration. No difference in picture quality between the cine’s and the interactive part. You may now walk around and explore, finding doors, objects, bodies, and other actors from time to time. The ship is like a haunted Titanic, with creepy passageways, cryptic messages, chutes, ladders, puzzles and the like. There are lots of little puzzles and switches you must figure out, with combinations and codes to decipher as well. We’ve tried to keep the puzzle part of this just hard enough to make you think a bit, but not like some impossible rubik’s cube so the story gets bogged down. That was my biggest criticism of most of the older adventure titles. Too dang hard and too little payoff. Most people only saw the part of the world they had the patience to solve, and the makers of this game forget that most gamers want instant gratification of sorts... to me it’s the defining characteristic of today’s games. But it’s good to tease you along a bit, like good movies do... but you have to give a payoff from time to time, and if you string the viewer along to far... well, it pisses them off and they stop playing. Death to a game, especially after they tell their friends. We want people to describe Darkstar to their friends just like they’d recommend a movie... explain the plot, but withhold the twist ending. 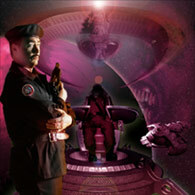 Darkstar feeds you chapters of the back story as you trip “bioloks” throughout the ship. Also, there are at least 15 dead end death sequences where you do the wrong thing and you perish in an elaborate, animated flourish. 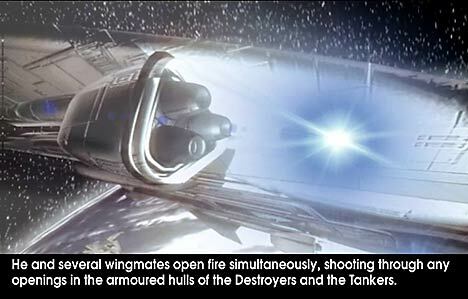 Really, you WANT to die and see these, they’re the coolest scenes in the story. Just be sure to hit “save” every once in a while so you can resume where you left off. Q: As a Graphic Adventure site, we wonder: How much space takes the exploration/puzzles, compare with space reserved to the movie? The exploration and story within this tour is the meat of the experience. The puzzles, as I said before, are just to keep you on your toes. We don’t want it to be too easy. And the movies are the prize in your box of cracker jacks. But instead of a plastic whistle or paper tattoo it’s a full length scifi DVD movie. Q: What about the longevity of the game? That’s impossible to forecast, we don’t have a beta yet. But I promise it will keep you clickin’ and grinnin’ for days. Sorry about that last euphemism, but we are after all just thirty miles from Branson, MO you know. Q: If you should compare DarkStar with another game... what would it be? Our most important task after producing DS is to properly market it so that the right people buy it and enjoy it. Not that fans of first person shooters won’t like it, we just don’t want them to buy Darkstar expecting it. It’s not. It’s just different. And it is really, really cool. Q: Did you use your own equipment for the development of the game, or you were supported by external company? We built our own “rendering farm” for the huge task of animating the cinematics, and we did like most scifi movies do, leased our own studio in Missouri during production. Likewise all the cameras, lenses and lighting was our own as well. We’ve been producing all sorts of projects from music video to TV commercials to corporate animation for years. Our creative shift didn’t affect our equipment list a whole lot. We had to become a signatory agency to the Screen Actors Guild, and carry a $2 million bond in order to operate and shoot in Hollywood. When possible we shot in MO to keep costs down, but ended up leasing green screen sound stages in Hollywood many times to accommodate actors and other production needs. Most of our VO audio was cut at POP Sound in Santa Monica (Peter Graves turned us on to those fine folks), and the final movie was mastered at BLINK Digital (also Santa Monica). Darkstar is a debt-free project, and has no investors, owned 100% by the studio. The production budget of about $250,000 (not including salaries for key producers) is tiny for a major motion picture (especially one so special effects laden), but fairly substantial for an interactive product. The William Morris Agency out of LA is our “agent”, and negotiating with those publisher guys. Q: Did the development get complicated during these years? If we were just shooting a movie it’d be complex. Then you add the interactive wild card and the technological demands go through the roof. It’s no longer just a matter of sticking to a script, a shoot list and a budget. The team has metamorphosed as stages have been completed, which makes this project a bit different from a movie. Sure, the crew changes somewhat in a film when it goes from shooting to post production, but as certain teammembers completed their tasks, the baton was passed to the next department. 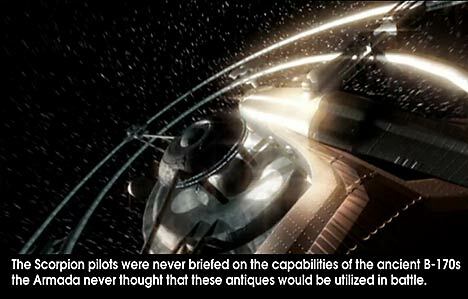 It started with the writing of the script, and went into production design of sets, models, spaceships, you know the drill. Then it goes to all the movie stuff, casting, shooting, and studio voice work. Then it went to post production, consisting of full scale animation, compositing of scenes in layers (backgrounds, actor keys, lighting effects, color correction, etc. ), editing, and sound design (which is a huge undertaking of it’s own... sound effects don’t come right off a CD library, not good ones anyway). Then the scoring comes in, where we edit the Rush music into place for the cinematic portion of DS, and then write and orchestrate a complete custom score of over 40 compositions of music for the game portion of the project. The mastering was done at Blink for the main cinematics, and are subsequently approved and certified by Dolby Laboratories for the 5:1 theatrical surround sound. Then 360º panoramic “nodes” must be created, hundreds and hundreds of them, and over a thousand animations that sew them together so that the exploring gamer can move around the world of Darkstar in seamless, pre-rendered glory. Interface art and animations are created. Then all of the above must be meticulously stitched together under a tech umbrella that allows for a completely custom, interactive experience that knows where you’ve been and what you’ve done so far. And as I said before, when Cyan decided not to join on this we ended up re-inventing the wheel from an in-house point of view. There’s no degree or school you graduate from that prepares you for a project of this nature. I can’t think of any other game developer that would produce something like this, it’s just too complex and expensive. Most of these companies go where the quick delivery projects are, the money projects…and who can blame them. Too many developers have gone under for various reasons. It’s a difficult business. The secret of our (Parallax) business model is…nothing to lose. We don’t “need” Darkstar to be successful to survive. None of us here take risks like that. We need it to be good so that we are fulfilled creatively. Darkstar has been put together with the same energy that independent films are produced, with a lot of heart, vision and determination to get it seen. We didn’t spend money we didn’t have, and we don’t have lofty, unreasonable expectations of the marketplace. The marketplace says “put up, or shut up”, so we’re putting our best foot forward and trying to present something new, fresh, and entertaining to the arena. Ultimately, people like you will be the judge. Q: Can you tell us a release date? I won’t give a release date because I don’t have to. It will be done when it is right. Every level I get deeper into, I find an opportunity to ad layers, puzzles and dimension. I don’t want to deny your readers any of this eye candy, and sometimes these crazy ideas add weeks to the project. And I’m cool with that. You will be too, when you see it. THAT SAID, if this goes past fall of 2006, I’m going out to the garage with the door closed, start up my car, crank up Tom Sawyer, and call 911. Kidding aside, it will be worth waiting for. I’ve got Rush and MST3K fans breathing down my neck, expecting this to live up to their icons, and I’m not going to let them down. Q Do you expect to distribute it all around the world? We are negotiating worldwide rights to the Rush music, and any publisher we’d approach would distribute worldwide. My tech guys are estimating more like 20 – 30GB. There have been many options put on the table, from a “Darkstar Module” (a small, 30GB hardrive about the size of a matchbox), to BluRay, to multiple DVD packages. Rest assured it will be a good solution that everybody can use. System requirements will be in the midrange, you won’t have to have NORAD to play DS, but if you’re on Windows 98... well, God help you anyway if you’re still there. It’s entirely possible this will be a good Xbox candidate technically speaking, but that will be up to whatever relationships our publisher has with those platforms. Mac users rejoice, there will be an OSX version. Q: Is a demo version expected? When it will be released? Yes, we will produce a demo that includes most of the first level. On the release, again I must beg your patience. If I don’t come up with any more monkey-brained ideas... Februaryish. Q: Would you like to say something to our readers? After five years of work and about one more to go, we have received thousands of encouraging emails from people offstage watching DS grow, a lot of them MST3K fans, RUSH fans, and many from overseas. As a matter of fact, we’ve not read one that is negative or critical (now I’ve asked for it!). I have personally answered every one. Many have thanked us for taking our time and doing it right, and that is very much appreciated. Though we are all very confident we’re doing something great here, we have our weak moments at 3am while watching a 20 second scene render at seven minutes a frame (30 per second). We’ll flip through the cable channels during breaks and catch a glimpse of those perfect, preppy kids on G4 ripping a new game release to shreds like evil, bell-bottomed Siskel & Eberts, and we confess, it chills us to the bone for a minute. Will they love us? Hate us? Then we say, “screw ‘em if they can’t take a joke”, and get back to work. We are you. We’re the guys that woke up one night and said, wouldn’t it be fun to... well, you know. That’s what Orson Welles did one day, said to himself, “...wouldn’t it be fun to make a movie...”, despite the fact he had no idea where or how to start. Then he made Citizen Kane. Darkstar may not be Citizen Kane, but it’s born from the stuff that good art is made of, and we thank you and your readers for demanding the best, expecting the best, and looking to us to bring it to you, albeit from a lonely, pirate starship cruising just under the corporate radar.